stand out from the crowd and get results. Because you should look as great as you are! Real Estate Investors Jake and Gerald Enriquez are more than just Real Estate Investors. They are brothers on a mission. What they do is a bit difficult to explain in small space, so you should check out their site (although it’s in transition to their new brand) and get a taste of who they are. I think you will be glad you did. When Jake called me and asked me to design a new logo for Press & Reach, I was not only honored that a friend would give them my name, but that they were men of honor and their mission was to focus others on the Good News of the Gospel. The logo itself is pretty simple, but how it expands the idea of their brand is much more complex. As I often explain, a brand is more than a logo… it’s who you are and why you do what you do. I think we have reflected that well in their new logo. "As a real estate investor, I am certainly accustomed to extensive searches for finding the right people to do the job. Trust me when I tell you that everybody says, “I can do that, no problem.” However, the end result doesn’t always line up with the promise. This was definitely NOT the case with Shawn. When I asked him to customize the logo that we wanted for our ministry, he was more than willing to work with us until we were happy with the end result. We have nothing but praise and thanks for Shawn and One Light Creative. Without a doubt, they are our recommendation and referral for all of your branding needs." Pastor Demetrius McClendon is the founding pastor of One Church in Midlothian, TX. He is affectionately known as “Pastor Mac.” He’s a great man of God, an inspiring speaker and a gifted musician. In fact, he has a couple of albums featured on his new website. When I first met Pastor Mac, we hit it off as friends. Later, we colaborated on his church’s website (www.DiscoverOneChurch.org) and now his own website— www.IAmPastorMac.com. "I met Shawn more than 10 years ago, and I've always been glad that I did. He has made such a difference in the way we as a church approach our outreach and marketing. He has a unique perspective on the importance of excellence in whatever the church does, and it shows in his design. We love our website. So when it was time to launch my own website, I naturally called Shawn... and he did it again. It's still a work in progress as far as my content, but it looks great!" Kate Finley (SuperKate) is a Financial Advisor with Edward Jones. SuperKate is a dear friend I worked with at Criswell College. She has always been very encouraging and complimentary of my creative work. I designed several pieces for major donor fundraising projects for the college while she was VP of Development. Because of my appreciation for Superman, she began to call me “SuperShawn” and it stuck. I have reciprocated. When SuperKate called me for personal business cards, I knew I had to make them unique and very cool. "SuperShawn is one of the most creative minds I've ever known. He has never failed to blow my mind with the designs he creates. Since working with him on many projects at Criswell College, I have had the opportunity to hire him for other projects. So when I needed a personal business card that represented me, I called SuperShawn. Yes... that's what I call him. " Wellness 1:17 is a Lubbock, Texas Chiroprqctic Clinic run by Dr. Josh Nelson, Chiropractor. Clean simple, but very cool logo and business cards that match up with the new office design and the personal flair of Dr. Nelson. "I have run three different clinics in three different cities over the past 26 years, and Shawn has designed the logos, business cards, websites and a number of other things for all of them. Don't know what I'd do without him." The new office space for Wellness 1:17 needed a sign. This one is pretty cool at night. Minteer Real Estate Team has a beautiful website that is ever changing and contains a search system showing MLS listings for those looking for a new home. Their site is a WordPress based site with lots of bells and whistles. "As Marketing and Technology Coordinator for Minteer Real Estate Team, Shawn manages the consistency of the team’s brand and delivers engaging marketing collateral that is pleasing to the eye. His ability to pick up on the latest technology along with his strategic planning, keeps our team on the cutting edge. His print and web design skills are a perfect compliment to his unique ability match phrase with photo or copy with color." Home By Design Magazine is published bi-monthly and sponsored by Minteer Real Estate Team for its VIP members. The ads for this publication are both listing and brand centric. We try to show the team’s success in both recently listed and sold properties. We also have used the other ad to solicit referrals. We’ve all received postcards like this from realtors. Our goal in design was to always be professional and eye-catching. Minteer Team postcards are unique in style and make an impression on the recipient. Minteer Real Estate Team is a Keller Williams agent team based in Grapevine. They are an aggressive marketer of both their brand and client listings. There are several examples of work done for Minteer Team. Luxury Home Magazine is one of very few magazines that showcase luxury homes very well. When designing these ads, we focused on clean, informative, and brand driven ads. The Phantom Theatre Guild supports the Theatre strand of the Grand Prairie Fina Arts Academy (GPFAA). My daughter’s school is a fine arts academy where she specializes in theater. The school mascot is the Phantom. So I created a new logo for the theatre guild. "Although Shawn was extremely busy and unable to help us finish our website project, he did create a fabulous logo for our use"
Designing appealing and sometimes provocative logos and themed promotional pieces for the church’s sermon series is one of my favorite things. Wild Hogs was especially fun to create. "I've worked closely with Shawn over the years to create some of our most creative and successful designs. His ideas are always fresh and forward thinking. He works very well with deadlines and last minute changes. I can count on him to be thinking through every angle of how our designs will be used. He's very quick to respond, and he's flexible enough to move in whatever direction we need him to. He's a friend and an exceptional creative mind." The Community is the church I attend. I’m blessed to be able to provide graphics for them for all sorts of events, sermons, and promotions. The church is preparing to build a new building and asked me to create a logo and materials for the capital fundraising campaign. We called it Legacyy Campaign. This is the brochure outside. We also created banners, signs, screens, cards, mailers, letterhead, envelopes, etc. for this campaign. The Community is the church I attend. I’m blessed to be able to provide graphics for them for all sorts of events, sermons, and promotions. As a promotion for a new Café Service, I created a logo for the service itself. We used it for banners like this one as well as many screens, promo cards and web promos. Café Service Logo and Banner"
The Community is the church I attend. I’m blessed to be able to provide graphics for them for all sorts of events, sermons, and promotions. This logo was created for a sermon series theme. This brochure and image was created for a special marriage promotion to encourage romance and regular dating for married couples over the course of an entire year. One Church is a small church plant in Midlothian, Texas. They love this very simple expression of Love! I’ve also had the opportunity to redesign One Church’s website as well as several sermon series themes. Easter 2016 Design — "The Portrait of Love"
"This is typical awesome work from Shawn. He understands what it is that we are looking for and nails it every month. 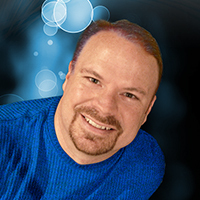 His experience with ministries and churches combined with his years in the business world are a huge benefit to us. He doesn't just find great photos or come up with cool graphics, he has so much insight into what our target audience responds to. I seek his input all the time on our plans both for designs and content. Wish we could keep him all to ourselves!" "I met Shawn more than 10 years ago, and I've always been glad that I did. He has made such a difference in the way we as a church approach our outreach and marketing. He has a unique perspective on the importance of excellence in whatever the church does, and it shows in his design. We love our website. And we love the other designs he's done for us as well. You've gotta see our Worship, Word & Waffles graphic he did for our New Years Celebration"
Alpha International Ministries (AIM) is a nonprofit Christian evangelistic and humanitarian organization dedicated to the advancement of the gospel of Jesus Christ in Asia. This invitation was part of a promotional campaign for the AIM World Evangelism Conference featuring Will Graham, grandson of evangelist Rev. Billy Graham. Having originally designed AIM’s logo a few years prior, I have had the priviledge of providing the design for their marketing materials and event prmotions for many years. "Wow! This is the most professional piece we've produced... ever! With Shawn's pastoral background and servant heart, he instantly understood what we needed. He not only gave us a great new logo, but he also designed all of the collateral for our AIM World Evangelism Conference. We got so many compliments on the quality of our pieces. Thanks, Shawn!" The Community is the church I attend. I’m blessed to be able to provide graphics for them for all sorts of events, sermons, and promotions. You’ll see them often on my site. This particular Easter design was used for all the promotional pieces from email campaigns to screen graphics to web design. We even did yard signs and invite cards. The idea behind this graphic was a simple, straight forward story of Easter. No pretty flowers or sunrises or easter eggs. Just an honest representation of the truth about Easter. Easter 2016 Design — "Experience Easter"
"We have always been big on the graphical presentation of just about everything we do. It's just part of our DNA. Shawn has been here from the beginning and has driven the quality and creativity of our branding way up. His heart for ministry and excellence in all things never fails to inspire us. I value his friendship and am thankful for his God-given gifts!" Advanced Answering Solutions (formerly known as McKinney Answering Service) asked me to re-brand their company with their new name. 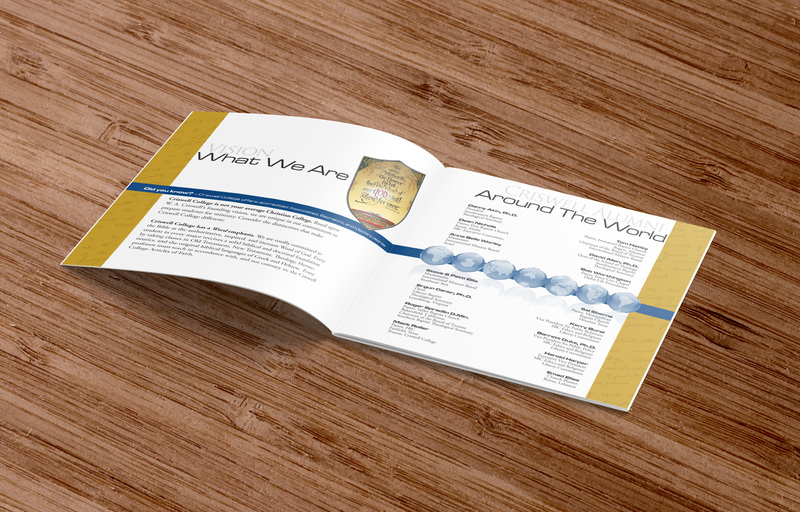 Everything from logo and website to letterhead and billing inserts to announce their new name. The company has sold to new management since this design, but they have stayed with the brand. "My husband, Troy Dorsey, and Shawn have been friends for many years. In fact, Shawn has helped Troy in so many aspects of his business that I knew he was the one to help our business with the enormous task of re-branding.Shawn listened intently to everything we had in mind. But we never dreamed he would exceed our wildest expectations with such a professional brand. We couldn't be happier! Thanks Shawn! " 78 Freethrows and Certified Lifecoach Troy Beans is committed to growing and mentoring relationships and tapping into life-changing techniques that enrich and heal marriages around the world. When I met Troy Beans, I was immediately intrigued with his passion for helping people, and I wanted to find a way to help him, even if it was a simple flyer design. His original design was ok, but it lacked structure and brand. So I was able to improve the over all look while adding space for branding. "Shawn and I met through a mutual friend and have met together on a few occasions for coffee. I've always wanted to hire Shawn to help with our business, but never had the extra resources to do it right. So one day I get an email from Shawn... he says he just wanted to help me out on this flyer I had sent him to look at. It was a beautiful, totally redesigned flyer... ready for printing. Didn't send me a bill or anything. This guy is much more than a designer, he's the kind of guy you want to know." Aztec Renewable Energy provides premium solar power for home, business and commercial enterprises. Charles wanted a generic flyer that could be used by his sales staff, but could also be used in other situations such as trade shows or mailers. He also wanted a highly professional look that had plenty of information without being too busy or overwhelming. The idea behind my design was to tighten Aztec’s brand and provide a piece that the website or other pieces could launch from. I think we got there. "Shawn was recommended to me by a mutual friend. From the minute we first spoke, I knew this was the guy to help us with our brand. Our very first project with One Light Creative was our new promotion flyer. I simply gave Shawn the idea, and WOW!... he knocked it out of the park! When we got the printed flyers in the office, I wanted to kiss them... they were just so amazing. " — Charles Crumpley, President, Aztec Renewable Energy, Inc.
Blue Heaven Yogurt Company is a retail frozen yogurt company specializing in custom flavors and healthy options for the whole family. Initially, this design was supposed to be a coupon, but there were other marketing wishes as well, so we decided to make a convertable ad. They loved it and it was a great success in growing this small business. "Shawn and One Light Creative have been instrumental in helping us with our advertising designs. We couldn't be happier with the results and with our friend, Shawn." Corptek Solutions is a corporate IT consulting company that specializes in providing small and midsize business with enterprise level IT capabilities. After redesigning their website, I was asked to become a Preferred Vendor and be the creative provider for their company as well as their customers. One of the many promotional pieces we have created for Corptek has been the monthly postcards providing some level of education and information about current trends in the IT industry. "We originally hired One Light Creative to redesign our website, which was wonderful. Now we use One Light for all of our creative and marketing materials and digital designs. Shawn is easy to work with and is able to accomplish so much without us having to provide everything. His ability to guide our ideas as well as produce them is critical to our ability to do what we do best." — Neil Busby, Vice-President of Marketing, Corptek Solutions, Inc. This was a complete website redesign and rebranding effort. "When we hired Shawn to redesign our website we were not even sure what we wanted. But he was able to learn about our company and provide a design that fit us perfectly. In fact, One Light Creative is now our Preferred Partner for all things creative." The DramaKings are a Christian/Family oriented drama team founded by Shawn Nelson and Chuck Ellis for the edification and teaching of families, churches, and communities about creative arts, relationships, and the unique role of storytelling in the modern world. Although the DramaKings has been a passion of mine for some years, the community theater portion is still in the works. "Not only do I have the priviledge of performing with Shawn, but I also get to work with him on many other creative things. He always amazes me. He's a gifted performer and designer. But I mostly appreciate his friendship." Elegant Photography, Lindsay Castro Photographer is a small portrait and photography studio in Grand Prairie. Lindsay was very specific about wanting a very elegant look… well, of course. But she also wanted a contemporary flair. The combined use of script and contemporary font pulls the ideas together. We also desided to stick with a glossy look because of the photography aspect. The actual back of the business card (an actual photograph) is not shown here due to model release restrictions. "One Light Creative has exceeded our highest expectations! We had little idea of what we needed in a logo or website, but Shawn performed his magic, and the result was breathtaking. Thank you Shawn!" Epic Cinema 10 is a new 10 screen theaterin Roswell, NM. This design for a special Christmas event was also done for a sister theater in Oklahoma with a different name and logo. Also different movie showings. 10,000 postcards were mailed for each theater. "When we purchased the Epic Cinema, I hired One Light Creative to create a new logo because of our name change. We also had a grand opening and then a special Christmas event. He has made the marketing side of our business so much easier with his unique designs. They are always much better than we hope for." First American Roofing is a Texas commercial roofing contractor specializing in claims and mitigation services. When presenting estimates and contract paperwork to clients, Bryan wanted to make sure to take advantage of the marketing and branding opportunity. The cheap Walmart pocket folders were not cutting it. "Shawn and I have been friends for many years. He always impresses. He originally designed our logo, website and business cards. Now he's really put our brand on top with the pocket folders. We love them and our customers are always impressed and see us as highly professional. " I met Bryan Keeton in 2009 at a Chamber of Commerce function. As with most business card exchanges, mine drew raised eyebrows and a chuckle. “Dude” was all he said. His roofing company was in obvious need of some re-branding. He has become a friend over the years as well as a respected client. "When I first met Shawn, I had no idea that he would change the way I look at my brand marketing. He redesigned my logo, which was in desperate need of a professional touch. But he didn't stop there... He was so insightful about how customers view my company, that I asked him to do an overhaul. He was honest, prompt, creative and genuinely excited about making me look good to my customers. He's not a guy that just does what you describe, he takes it a step further and blows your socks off." Orant Charities began in 2006 with a mission of connecting travelers who want to help the poorest people in the world with missions that desperately need their contributions. To that end Orant began running trips around the world designed to bring the basic necessities of life to places like Cambodia, Peru, Guatemala, Mozambique and Malawi. "Shawn was extremely generous in his help with both our website redesign and our other print materials. He was so easy to work with and completely understood our mission." Premier Consulting Group, Inc. is a local Dallas/Fort Worth firm with 100+ years combined experience in vertical transportation that allows them to provide outstanding service as a value engineered alternative to the higher priced, lower quality service providers. "Every project we have Shawn work on is excellent. 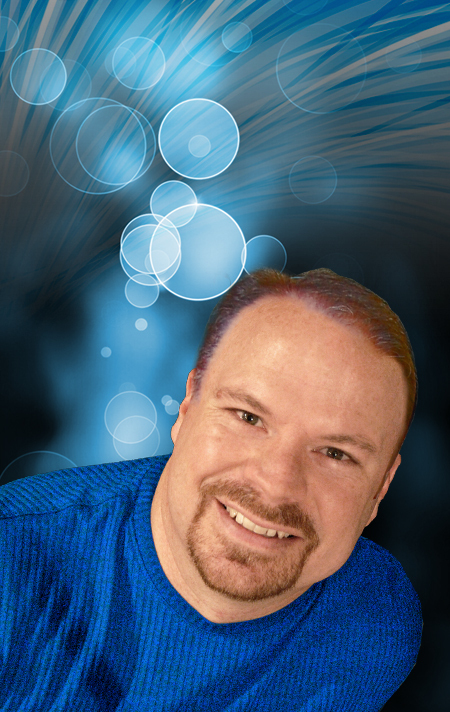 We have had him do work on both of our websites, logos, marketing materials. You can trust this guy to do quick, thorough, beautiful work. " Premier Elevator Services, Inc. is a local Dallas/Fort Worth firm with 100+ years combined experience in vertical transportation that allows them to provide outstanding service as a value engineered alternative to the higher priced, lower quality service providers. Red River Logistics was founded to provide shippers with the expert assistance and guidance necessary to navigate this sometimes murky world. With over 32 years of combined experience, they serve a wide range of industries and clients, while providing customized solutions that fit individual shipper needs, goals and requirements. "We needed an updated look for our marketing materials. Shawn provided exactly what we were looking for. " Rockwater Pluumbing is based in Mansfield, Texas and handles both residential and commercial plumbing. "I was referred to Shawn by a friend, and I'm glad I was. I needed a logo for starters... and some direction on starting out my new business. Shawn was exactly what I needed. He was attentive to my preferences, but way more creative thatn I could have ever been. I can honestly say that One Light creative got me off the ground!" Sentinel Electric is a Mansfield, TX based company specializing in business and commerecial electrical work. "I've been through so much in trying to find someone trustworthy enough to handle my site and my brand. Finally, I've found One Light Creative. What a difference! We're still working on the website, but I couldn't be happier with how things have improved for our brand." The Community is the church I attend. I’m blessed to be able to provide graphics for them for all sorts of events, sermons, and promotions. This is the promotion screen for the website leading up to our 10th Anniversary celebration. The logo was used on everything from program to banners to emails and t-shirts. Precise Trenching Solutions is an Arlington business providing specialized equipment for digging trenches for landscaping, plumbing, cable installation, etc. Their main concern was a professional brand and a clean look. "One Light Creative has been such a great resource not only for the creative side of our branding process, but also the business planning and strategy. We were simply wanting a website and a logo, but One Light goes above and beyond when it comes to making things right. Shawn knew immediately that we needed help with our brand and understood what we were looking for. His keen sense of where we wanted to go gave us a great peace that allowed us to concentrate on our part of the process. Not only did he make us look professional, he made us act and think that way too. " A new startup in need of a brand. Daybreak Solar logo with a clean and appropriately bright look was one of the fun logos to do. "Shawn was referred to us by a friend. We weren't sure of the process or where to start, but Shawn knew exactly what to do. He basically held our hands and walked us through. Listening to our explanations and descriptions of what we would like, he nailed it. " 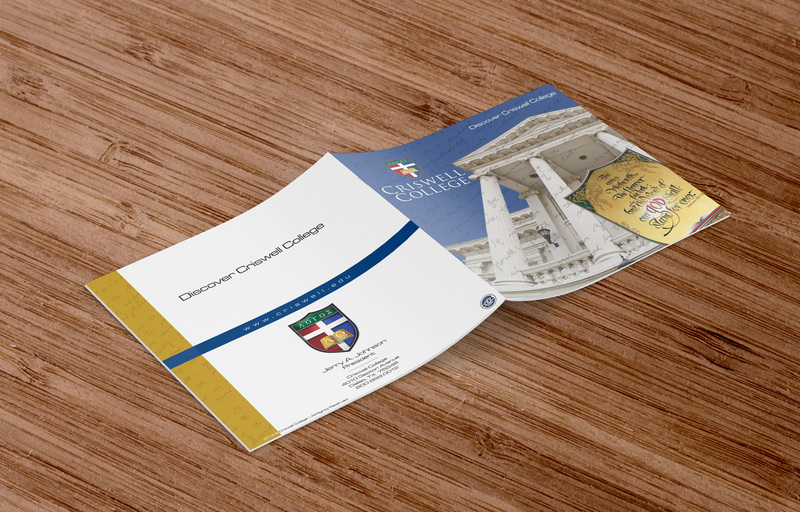 This design was part of an entire campaign for Criswell College’s Annual President’s Dinner fundraising campaign. It was a huge success and is still talked about as the most successful and creative campigns for the college they have ever had. The campaign included an invitation (both email and printed), online promotion, videos, posters, banners, radio promos, donor pledge cards, event programs, information brochures (shown here), powerpoint presentations, follow-up thank you cards, bookmarks, wallet cards, award certificates, and photo frames. All of the pieces were based upon the same design featuring Wallace Library, Dr. Criswell’s favorite scripture on the Criswell shield, and an overlay of a handwritten letter of Dr. Criswell’s vision for the college. "Shawn's great contribution to the Presiden't Dinner was nothing short of vital. It would not have broken even, much less raised a record amount of funds, without his creative insight and brilliant concept. The truth is that this was the year that changed the way we do the President's Dinner forever. I don't think I realized it at the time, but that's the truth. The way our donors view the excellence of the college has such a great impact on their willingness to support. It also shows how highly we regard our donors when we invite them to an experience filled with appreciation, superbly illustrated information about the college along with a professionally sound promotional campaign. " Social Media includes so much more than Facebook, Twitter, etc. There’s an entire social component involving your brand and it’s DNA. Project Level is reserved more than one up graphics. It includes the entire scope of design for a complete project. Graphic Design covers a huge crossover between Print and Digital mediums. Designing with both in mind is essential for today’s brand to be effective. I am an experienced Designer/Creative Director with skills in design and development including print design, marketing, web development, email campaign design, UX/UI design, and brand management. I thrive on leadership, creativity and the joy of others. I am always interested in new people and new opportunities. As a creative person, I am open to learn and grow as well as teach and inspire. So let me know if you have room in your contact list for someone like me. I’d love to meet you! We would love to keep you updated on all that is happening with One Light! Follow Us on Twitter, Facebook, Google+, or LinkedIn! Share the Light with friends and let us know what kinds of cool things you are doing as well! No matter what it is you want designed, we can probably help you get there. We know how to listen to your ideas, interpret it all into concepts and finish with flair! We're easy and fun to work with!